1. How do the ingredients look (EWG.org ratings)?- 4: They look great. There were 3 ingredient call-outs. See below! 2. How is coverage? Does skin still look like skin?- 4: This is a true tinted moisturizer that provides a hint of color, enough to be visible and slightly even out, along with a dewy finish. 3. Does it last all day?- 4: It lasted on my combination skin, mind you, I did mention that I set this. Setting really helped! 4. Is this non-irritating?- 5: No issues here! 5. Does blend well and build?- 4: it plays well with other products, especially setting powders. I wouldn’t say it’s super buildable, but that makes sense for the type of product it is. 6. Is the shade range inclusive?- 4: Nine shades for a tinted moisturizer isn’t the worst I’ve seen, and it’s not the best. Due to the nature of tinted moisturizers providing lighter coverage with more moisture, I think this shade range is pretty solid. 7. How conscious is the brand? Cruelty free, sustainable, etc.- 5: You can see the entire brand ethos on their website. It’s impressive! Would I recommend this product to a friend? I would absolutely recommend this to a friend! Love this tinted moisturizer for spring and summer. WHO IS REVIEWING ALL OF THESE PRODUCTS ANYWAY? Good question. Check out my skin profile here. I wanted to make sure you know the skin profile of the individual reviewing all of the green and clean beauty products you’re checking out! These products are not one-size-fits-all. I LOVE receiving feedback on the channel from other skin types/individuals out there, because what I love, you may not. I’m in my thirties and live in California. Skin type: Combination. It’s also very dependent on the season and nutrition (how hydrated I stay- I can see a huge difference there). Sensitivity level: I don’t suffer from acne and am not prone to breakouts UNLESS my diet goes off course (read: too much sugar and dairy). 2. How is color pay off?- 5: A subtle pop without too much shine. Exactly what it’s supposed to be. 3. Does the color last?- 3: I wish it lasted a bit longer. Needed a lot of reapplication throughout the day. 4. Does it dry out lips?- 4: It’s not the most moisturizing, but it doesn’t dry out the pout. 5. Does the formula glide on smoothly?- 5: Super easy application and texture. Only issue is, you may not want a lip gloss in a pot. 6. Is the scent overwhelming or just right?- 5: No scent. No issues! Would I recommend this product to a friend? YES! I love these lip shines. 1. How do the ingredients look (EWG.org ratings)?- 4: really solid! 2. How is color pay off?- 5: I was blown away. No joke, this shadow performs! 3. How is application?- 5: It glides on. A little does go a long way, and fallout was minimal. 4. Is it non-irritating?- 5: Yes! No issues and I wear contact lenses. 5. How about creasing?- 5: I prime and set prior to applying. Zero creasing issues. 6. Does it last all day?- 5: Again, a prime and set helped. No reapplication was needed! 7. How conscious is the brand? Cruelty free, sustainable, etc.- 5: If I could give it a ‘6’ I would. Chromium Oxide Greens [2-5] - keep in mind, this was listed in the “May contain” section AND the rating is between a 2-5 on EWG.org with “Limited” data available to back it up. UPDATE : per the brand, “Chromium Oxide Greens are only in the Tourmaline shade and there’s less than 1% of this ingredient in there.” April 2019. Would I recommend it to a friend? Yes, yes, and yes. This is a winner. I’ve not liked an eyeshadow palette as much as this one EVER since starting my move from conventional to non-toxic beauty! Wow, just wow. 1. How do the ingredients look on EWG.org?- 5: It does have Dimethicone which may irritate some, but overall, very “good” ratings. 2. How is coverage?- 4: I’d say it’s more medium coverage than light. 3. Does it look natural?- 5: Yes. It doesn’t melt into the skin, but I can’t see any cakey’ness. The color match was spot on. 4. Is it non-irritating?- 5: I haven’t had any skin issues! 5. Does it blend and build?- 5: Absolutely. I love this for under the eyes AND blended out as a light foundation. 6. How’s the shade range?- 3: 10 shades. Respectable, but there’s room to grow. 7. How conscious is the brand? Cruelty free, sustainable, etc.- 4: PETA-certified, cruelty-free, and vegan! Keep in mind, I did not ask what percentage of the above ingredients are inside of this product. That information does matter if you’re averse to using these. I always recommend, if you’re unsure, ask the brand what’s inside! Would I recommend it to a friend? Absolutely! Love how well this concealer works not to mention, the price is great. 2. How is coverage?- 4: It’s really such a great level of coverage. Very lightweight, but evens out really well. 100% yes. It sticks around all day. 4. Is it non-irritating?- 5: No breakouts after using it for a couple of weeks! 5. Does it blend and build?- 5: Yes, it blends well with everything I’ve paired it with from primers to highlighters. 6. How’s the shade range?- 4: 12 shades, primarily on the lighter side. Room to grow! 7. How conscious is the brand? Cruelty free, sustainable, etc.- 4: Cruelty free, carbon neutral as a company, and they have refillable compacts! Would I recommend it to a friend? No :( The brand got back to my question after about five days (ouch) and while they were transparent on a few of the ingredients I called out, they did not disclose the ingredients included under the word “parfum.” Transparency is everything, so without that, even though I loved how this foundation applied, I can not recommend it. 1. How do the ingredients look (EWG.org ratings)?- 5: Crunchi consistently serves up incredibly clean ingredients lists. 2. Is it clump-free?- 5: No clumps! 3. Is it high impact? Does it multiply lashes- 2: The formula is very subtle. I don’t find it to be super high-impact, even after a couple coats. 4. Does the formula stay on and not flake out?- 5: While it isn’t a dramatic layer on the lashes, it didn’t flake off throughout the day. 5. Does it lengthen?- 3: Overall, it is more lengthening than multiplying for my lashes. It’s not extreme lengthening though. 6. Is it non-irritating?- 5: No itchy-eyes over here! 7. How conscious is the brand?- 5: Remarkable company ethos! I’d give it a ‘6’ here if the scorecard went that high. You like a more natural lash look. You need major volume in a mascara. You need serious lengthening from the mascara you swipe on. $28 is way too high for your budget. Would I recommend the Crunchi Lashes For Days Mascara in Blackout $28 it to a friend? No :( I’ve loved everything that I have tried from the brand (Crunchi) so far, but this mascara just didn’t measure up to others that I have tried out there. The low impact and level of lengthening didn’t really wow me. For higher impact and bigger lash volume/multiplication, try the Fitglow Vegan Good Lash Mascara (review HERE). For more lengthening of lashes, try the Lily Lolo Big Lash Mascara (review HERE). It still gives great impact. Also, definitely try this lash primer from Jane Iredale to help keep the lashes safe and it will give your mascara a noticeable BOOST. I swear by it. Full review HERE. Every product is rated using TheStyleShaker SCORECARD system. This review is 100% honest, no one is paying me to say any of this. To learn more about my “Rule of 3” CLICK HERE. FYI this post may contain affiliate/referral links. 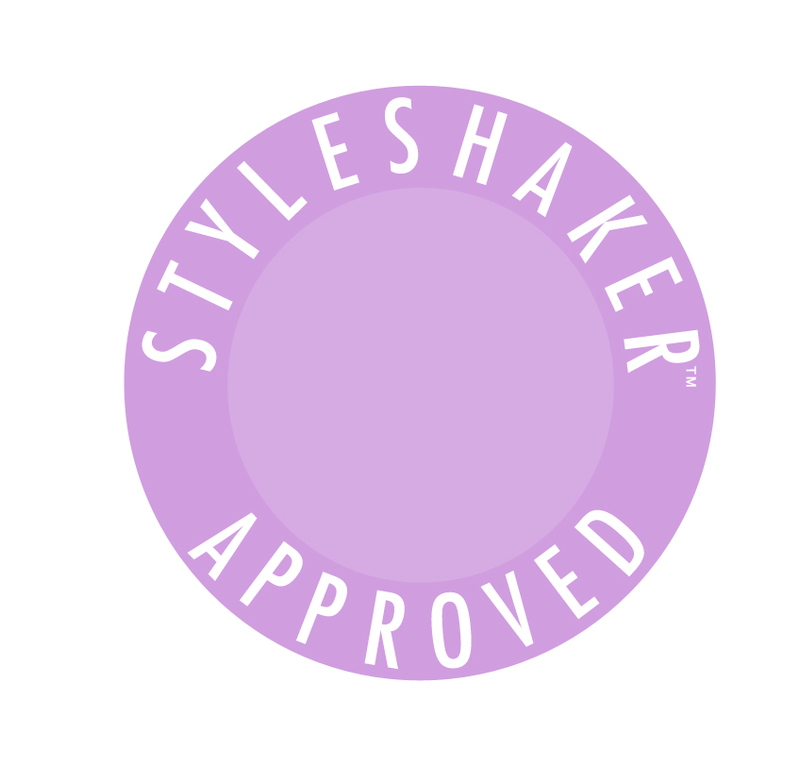 Read the complete TheStyleShaker.com disclosure here. 1. How do the ingredients look (EWG.org ratings)?- 2: Not the least potentially toxic list I’ve seen. The culprits are sunscreen ingredients. 2. How is the coverage?- 5: Pretty cool. It goes on very opaque and blends into your skin tone! 3. Does it last all day?- 4: It lasted a pretty long time. A little midday setting powder helped. Keep in mind, I have combination skin, so it’s not an uncommon thing. 4. Is it non-irritating?- 5: I experienced no irritation! 5. Is this a consciously created product?- 4: Vegan, gluten-free, and cruelty-free! Plus, very little plastic waste. 6. Does it work well with other products?- 5: Hands-down, yes. It works really well with everything from moisturizer to setting powder! 7. How’s the shade range?- 4: 10 shades! It’s a start. But they also blend and adjust to your skin tone, so really, it could mean that each color works for more than one skin tone! You’re looking for an all-in-one medium coverage product that has serious SPF. You’re ok with a ‘6’ and don’t plan on using it every day, on repeat. The Final Verdict above is positive because of the high-performance of this product and the type of ingredient that is rating above a ‘3’ on the EWG scale. You’re ok with a strong sunscreen scent. You are staying in line with the Rule of 3. You can’t stand the sunscreen smell. You’re looking for sheer or semi-matte full coverage. There were two ingredients that I took a deeper look at. Click below to find out more. Would I recommend the CLE Cosmetics CCC Cream to a friend? Yes, but only for those looking for a better sunscreen alternative. It’s a high-performing product and may be a less-toxic alternative to something you’re already using. For me, it’s a once in awhile product when I need coverage and serious sun protection. 1. How do the ingredients look on EWG.org?- 4: There are a couple ‘iffy’ ingredients from the “May Contain” section on the list, knocking this down from a perfect score of 5! 2. How is the coverage?- 5: This is your fuller coverage concealer option, for sure. A little goes a long way! 3. Does it look natural?- 5: Yes, just take a little extra time to blend it out. More tips on how to do this in the video demo! 4. Does it last?- 5: Absolutely. This concealer brightens and sticks around. 5. Smooth texture?- 4: It isn’t the silkiest texture, so I dropped it to a ‘4,’ but it still applies easily with the doe-foot applicator. 6. Does it work well with other products?- 4: Blending in with primers and foundations is almost flawless. It doesn’t just disappear into everything else, so be sure to blend. 7. 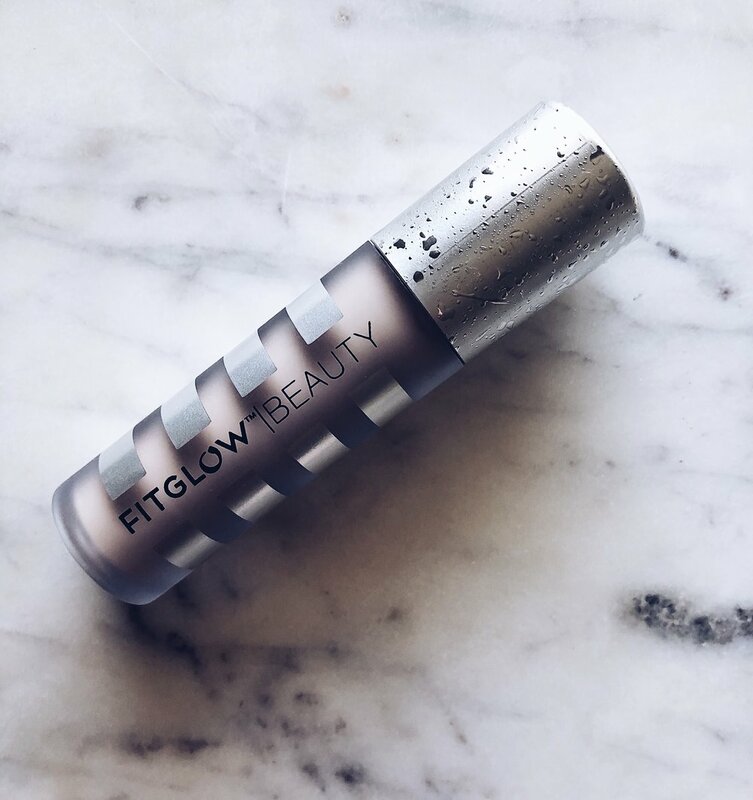 How’s the shade range?- 3: Hopefully, Fitglow Beauty is just getting warmed up with 5 shades and there are more on the way! Would I recommend the Fitglow Beauty concealer- $42 it to a friend? Yes! You’re ok with the price point. It’s up there! You’re looking for a concealer with a skincare boost. You need a fuller coverage concealer that doesn’t look ‘cakey’ or sit on top of the skin. .You have dark circles or discoloration that needs something a bit more impactful than a sheer coverage concealer or foundation. You need a lighter weight formula with more sheer coverage. You can’t find a shade to match your skin tone. You’re looking for a lower price point. I make recommendations for other products you may want to consider in the video! There were two ingredients that I took a deeper look at. Click below to find out more. They both show “LIMITED” info in EWG.org.